New Mexico Mining Association – ADVOCATE. INNOVATE. EDUCATE. The New Mexico Mining Association is raising awareness about proposed Copper Rules before the Water Quality Control Commission. NMCopperRules.com has information that is pertinent to the discussion about water quality and economic vitality in New Mexico. The NMMA works hard to protect New Mexico’s environment. Before any soil is moved, we conduct a variety of engineering studies to ensure that we are moving forward in an appropriate manner. 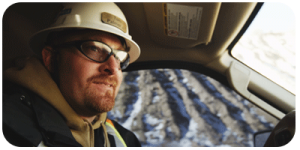 Did you know that there has been a 46% decrease in injuries in U.S. mines since 1992? This impressive statistic can be attributed to the important safety procedures that have been established in the mining industry over the past 14 years. The New Mexico Mining Association is committed to education and has established the Minerals Education Foundation to increase awareness of how minerals, mining, and earth science fields affect our everyday lives. New Mexico plays a vital role in national and international mining production as the largest producer of potash and the sixth largest producer of molybdenum in the United States.